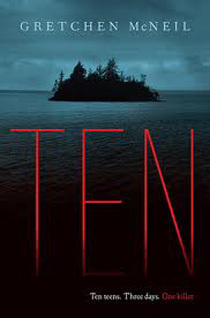 Ten teens. Three days. One killer. The only thing worse than forgetting her past … is remembering it. For a complete list of all the YAppiest Giveaways, go here. This is the LAST YAppiest Giveaway! And we’re going out in YAppy style, showcasing TWO awesome books: Ten by Gretchen McNeil and Unremembered by Jessica Brody. For a chance to win a FREE copy of each of these books, see the “How to Win” section below. For a complete list of upcoming giveaways, go here. If you’re a fan of suspenseful, fast-paced stories with a rising body count, look no further. Be warned! Once you start reading this thriller, you won’t be able to stop until the last page is turned. If you enjoy a face-paced, exciting read with well-developed characters, this is a story for you. 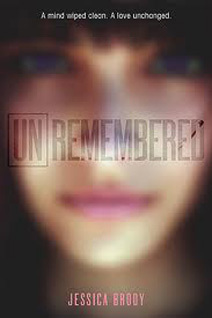 Jessica Brody knocks it out of the park with the first book in the Unremembered series. I’m definitely looking forward to the next installment in this series. Leave a comment on this blog–explaining WHY you want to read this book— by midnight, January 19th (1 entry). I’ll tally the entries and choose a winner, then announce it on this blog on Tuesday, January 21st. Good luck! Stay tuned for the next YAppiests Giveaway! The 15th YAppiest Giveaway! is for Struck, by Jennifer Bosworth. Mia’s a lightning strike addict with the power to end the world. Unfortunately for her, two warring religious cults know her secret and aim to claim her power for their own ends, any way they can. This is the 15th YAppiest Giveaway! for Struck, by Jennifer Bosworth. For a chance to win a FREE copy of this book, see the “Here’s How” section below. For a complete list of upcoming giveaways, go here. Mia is haunted by her ability to attract lightning, and frightened by the power each strike has left building inside her. She sees her power as a curse, but the warring religious cults in Los Angeles see it as something to be claimed and manipulated to their own ends. Mia wants nothing to do with either faction, but her brother is drawn to one side and her mother the other. To make matters more confusing, she meets an enigmatic, totally hot guy named Jeremy who possesses a strange power that draws her to him. Mia doesn’t know who she can trust. Not her brother or her mother. And least of all Jeremy, who shows up when she least expects it and then disappearing just as mysteriously. 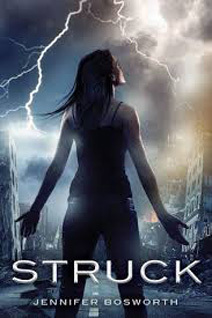 STRUCK is an engaging, super fresh take on the dystopian theme with a unique paranormal twist. Mia may be a lightning addict with mystical powers, but she is also a teenager with insecurities and family drama we can all relate to. Her mother is left mentally broken as a result of what she endured in the massive quake, and Mia is doing whatever it takes to hold their small family together. The mystical elements of the story are woven through the realistic setting of post-apocalyptic Los Angeles, substantiating a plausible explanation for the cataclysmic events Mia faces. When you’re struck by lightning as many times as I have, you start to expect the worst pretty much all of the time. Leave a comment on this blog–explaining WHY you want to read this book— by midnight, December 6th (1 entry). I’ll tally the entries and choose a winner, then announce it on this blog on Sunday, December 8th. Good luck! The 14th YAppiest Giveaway! is for Rootless, by Chris Howard. A gripping dystopian story where … Banyan makes shocking discoveries about his family, his past, and how far people will go to bring back the trees. This is the 14th YAppiest Giveaway! 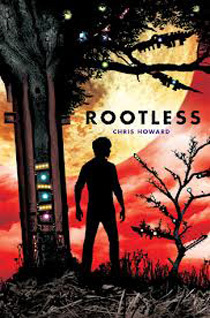 for Rootless, by Chris Howard. For a chance to win a FREE copy of this book, see the “Here’s How” section below. For a complete list of upcoming giveaways, go here. 17-year-old Banyan is a tree builder. Using scrap metal and salvaged junk, he creates forests for rich patrons who seek a reprieve from the desolate landscape. Although Banyan’s never seen a real tree—they were destroyed more than a century ago—his father used to tell him stories about the Old World. But that was before his father was taken . . .
Everything changes when Banyan meets a woman with a strange tattoo—a clue to the whereabouts of the last living trees on earth, and he sets off across a wasteland from which few return. Those who make it past the pirates and poachers can’t escape the locusts—the locusts that now feed on human flesh. Banyan’s post-apocalyptic world is as brutal as it is desolate. The people who survived the Darkness, and later the flesh eating locust, are desperate and borderline feral. So when Banyan loses his father in a dust storm, he is driven to search for him; the only family he’s ever known. Luckily, serendipity is in his favor. Banyan takes on a construction project for a despicable man that uncovers secrets to the location of the last living trees on earth, and evidence that his father is there. If he’s still alive. Banyan’s harrowing journey to find his father and the last living trees on earth, throws him together with unlikely comrades who prove their worth as friends when the going gets ugly. And trust me, “ugly” is an understatement. Howard doesn’t pull any punches with this fully realized view of what our world could become. The characters are drawn with realistic brush strokes as well, revealing the harshness of their flaws. This is not a “light” read. But the ugliness of the world makes the threads of hope and humanity woven through the main characters shine all the brighter. I can’t tell you much more about the plot without spoiling this monumental story for you. In ROOTLESS I tried to draw an analogy between human creativity with the forces of nature and the cycle of life. Leave a comment on this blog–explaining WHY you want to read this book— by midnight, November 22nd (1 entry). I’ll tally the entries and choose a winner, then announce it on this blog on Monday, November 25th. Good luck! Ball games and shows have breaks, whether it’s half-time, intermission, or whatever. The YAppiest Giveaways have been rolling out like clockwork at two a month since April. So far, that’s 13 YAppiest Giveaways! Which is awesome, but it seemed like a good time to give everyone a little bit of a breather. 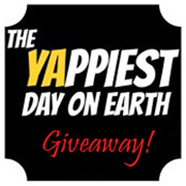 The 14th YAppiest Giveaway — Rootless by Chris Howard — will be coming your way on November 15th! The 13th YAppiest Giveaway! is for Revived, by Cat Patrick. A story of love and friendship, and the girl who must choose between having it all or keeping the secret of a high-security government experiment she’s been involved with for years. This book is so awesome there are two winners! This is the LUCKY 13th YAppiest Giveaway! for Revived, by Cat Patrick. For a chance to win a FREE copy of this book, see the “Here’s How” section below. 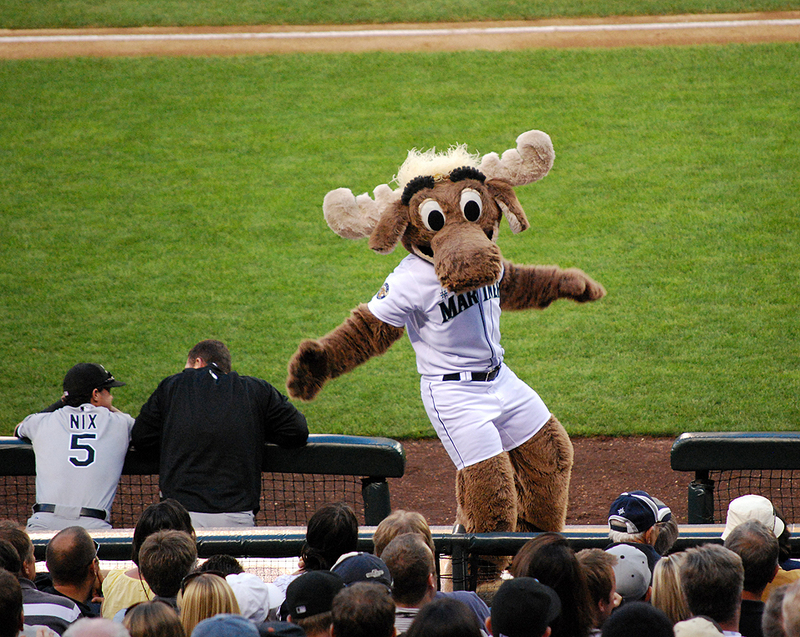 For a complete list of upcoming giveaways, go here. Daisy Appleby died in a bus crash when she was four. Then her undercover life began. She was brought back to life, along with nineteen other children on that bus, as part a covert government program for a drug called Revive. Daisy barely remembers the fatal bus crash. Even so, now at fifteen Daisy has died and been Revived five times. She’s not exactly an expert at avoiding life-threatening accidents, her last being an allergic reaction to a bee sting. To keep Revive a secret, each time Daisy dies and is revived it means a new name, a new city, a new identity. 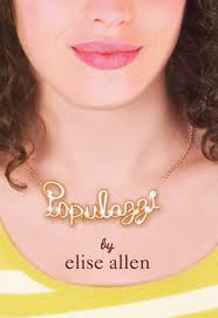 Daisy accepts her gypsy lifestyle without attachments … until they move Omaha and meets Matt and Audrey McKean. Audrey quickly becomes Daisy’s first real friend outside of “the program”, and then she falls for Audrey’s brother Matt. Hard. For the first time, Daisy wants a normal life. She wants someone outside “the program” to know who she really is, including her secret. Daisy soon discovers that the Revive experiment is more sinister than she ever imagined, and her sharing her secret with Matt could very well cost him his life. The heart of this story is wrapped in Daisy’s relationships; how she deals with her first friendship outside the program, and then a romance with and outsider. 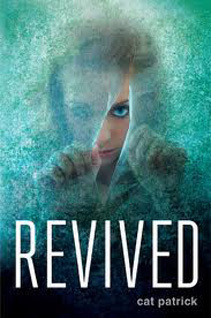 People she isn’t “supposed to” get close to, because they can’t know her secret about Revive. The mystery simmers beneath the surface, building tension as it slowly unravels with Daisy’s deepening friendship with Audrey and her romantic relationship with Matt. Daisy can’t ignore the signs. Something isn’t quite right with the program, but she can’t put her finger on it. That is, until she uncovers disturbing information she wasn’t supposed to find. Daisy is conflicted about sharing her secret with Matt, and after she does she discovers her indiscretion has endangered his life. Cat Patrick is a master at creating authentic characters with believable strengths and weaknesses. The supporting characters—Mason, Cassie, and Megan—are as interesting and well-rounded as Daisy, Audrey, and Matt. The author is also adept at weaving suspense throughout, hinting at what’s just out of sight until the final climax. Like a horror movie where what’s lurking in the shadows is never shown. What we don’t see is more terrifying. I can’t tell you any more without spoiling the edge-of-your-seat ending. You’ll have to read the book to find out if Daisy can out run the Revive program after uncovering its darkest secret. I loved this book. So much so that I immediately picked up Forgotten, Cat Patrick’s debut novel, and devoured it just as quickly. Now I can’t wait to read The Originals, Cat Patrick’s most recent release, and Just Like Fate, which she co-authored with Suzanne Young. Leave a comment on this blog–explaining WHY you want to read this book— by midnight, October 20th (1 entry). I’ll tally the entries and choose a winner, then announce it on this blog on Tuesday, October 22nd. Good luck!